Belgian Chocolate Café to open 1st Location in the World in Vancouver: The corner of Pacific and Smithe Streets is about to be world famous to those with a sophisticated sweet tooth. International chocolatiers, The Belgian Famous Chocolates, is crossing the Atlantic Ocean and opening their first chocolate-centric café at 38 Smithe Street, across from the newly launched JW Marriott Parq Hotel in the One Pacific building. This foray into Vancouver marks their first venture into operating a dedicated café and retail space, which will encompass just over 1,000 square feet and will seat 16 inside as well as feature a patio for 18 more (weather permitting). 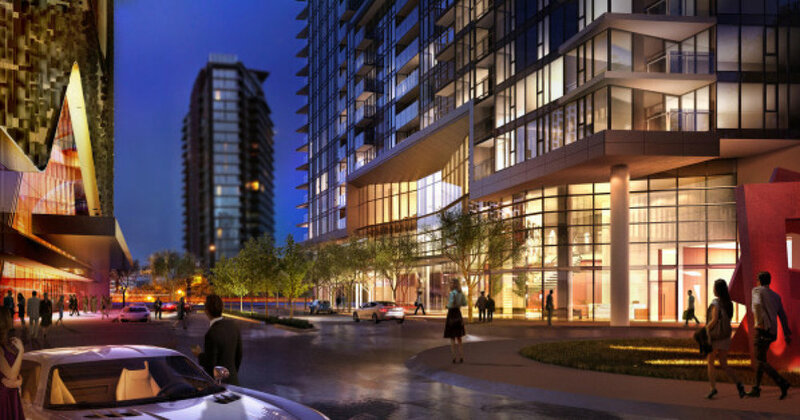 The One Pacific condo high rise is one block to the waterfront and pet-lovers Coopers’ Park, and the world-famous Vancouver Seawall. Belgian Chocolate is the first retail occupant that has been made public but their website alludes to additional dining and retail. Started in 1956, Belgium-based The Belgian has been beloved overseas for their premium chocolates. The café will feature chocolate-based patisserie-style treats, decadent chocolate drinks, and much more of all things chocolate. 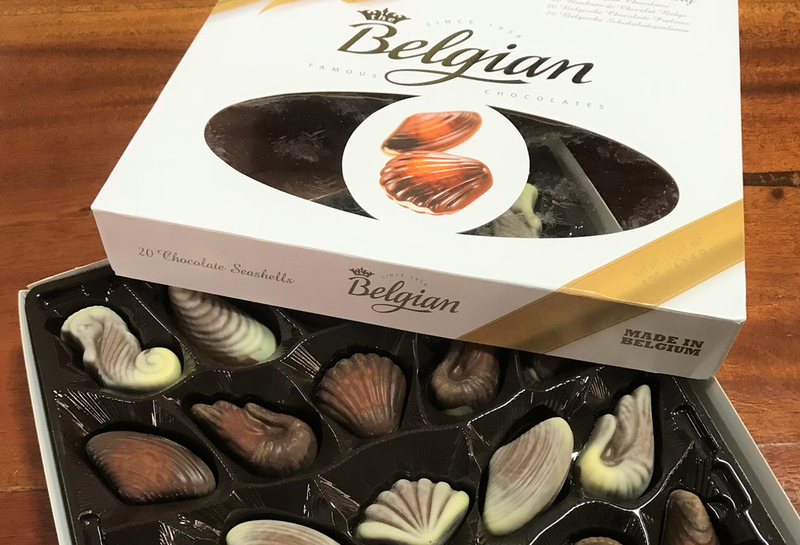 The company has exclusive distributors in over 70 countries and in 2011 The Belgian Chocolate Group was the first Belgian chocolate company to obtain the A-Star Level of the BRC food standard, the highest honour in the International Food Standard system. Scavolini Opens New Showroom in Toronto's Castlefield Design District: World-renown Italian design company Scavolini has opened an airy new 6,500 square foot showroom in uptown Toronto in the Castlefield Design District at 1330 Castlefield Avenue. Flaunting high-end Italian designed kitchens, bathrooms and living areas (including closets, shelving, furniture & accessories for every room in the house) with clean lines and refined simplicity. At Scavolini’s new home, expect to view 7 meticulously engineered kitchens, including the new Diesel Open Workshop. This is the second kitchen and bathroom collaboration between the two iconic Made In Italy brands. Multiple sleek, ultra-chic kitchen models and systems are all offered in customizable configurations. Modular closets, bookcases and bathroom vanities with porcelain tops and integrated sinks, are also on display. The Scavolini Toronto showroom also features art installations from the Toronto gallery General Hardware Contemporary and a ‘Canadiana Corner’ featuring Beau Lake paddleboards and paddles by Paul Lavoie. Saje Natural Wellness Introduces ‘Clean Cleaning’ into the Eco-Lexicon: Vancouver-based Saje Natural Wellness introduced the brand's first-ever home cleaning products aptly named ‘Clean Cleaning.’ Like all Saje Natural Wellness products, the Clean Cleaning line is 100% natural having been formulated only from plant and mineral-based ingredients. All are free of harmful synthetic toxins and artificial fragrances and the fresh fragrances are natural aromas from pure essential oils. Clean Cleaning is the latest addition to their line of over 500 natural products and is free from the harmful synthetic toxins found in many cleaning products – even the “green” ones, which translates into shoppers keeping their homes as clean as their consciences. The Clean Cleaning products include Multi Clean (all-purpose cleaner), Glistening Glass (a bright citrus surface and glass cleaner), Bathroom Bright (tub and tile cleaner), Dish Wish (a zesty dish soap), and Tidy Trio biodegradable cleaning cloths. Launched in 1992, founders Jean-Pierre & Kate Ross LeBlanc, have grown Saje Wellness to more than 70 locations across North America and have attracted loyal followers that are interested in health & wellness, the environment, and supporting cruelty-free products that are also free of parabens, petrochemicals, synthetic colours, and fragrances. Longo’s Kitchen Introduces Prepare-at-Home Meals Kits to Hungry Market: Popular Toronto-based grocery chain Longo’s has officially thrown its’ hat into the prepare-at-home meal services that are flourishing across Canada. Longo’s branded meal kits offer the same fresh, high-quality produce and grocery innovation for which the family-owned grocery brand is known. There are eight meal kits available which are designed to meet shopper demand for quick, convenient meals and feature recipes created by Longo’s Kitchen chefs. The meal kits are available at all 32 Longo’s and The Market by Longo’s locations and through Grocery Gateway, Canada’s most experienced online grocery service. Recipe options include two vegetarian with each meal kit including local produce and pre-proportioned ingredients to create meals for two in under 35 minutes. The subscription-free meal kits start at $19.99 and include easy-to-follow recipe cards and instructions with chef tips to help customers develop their cooking skills and techniques. 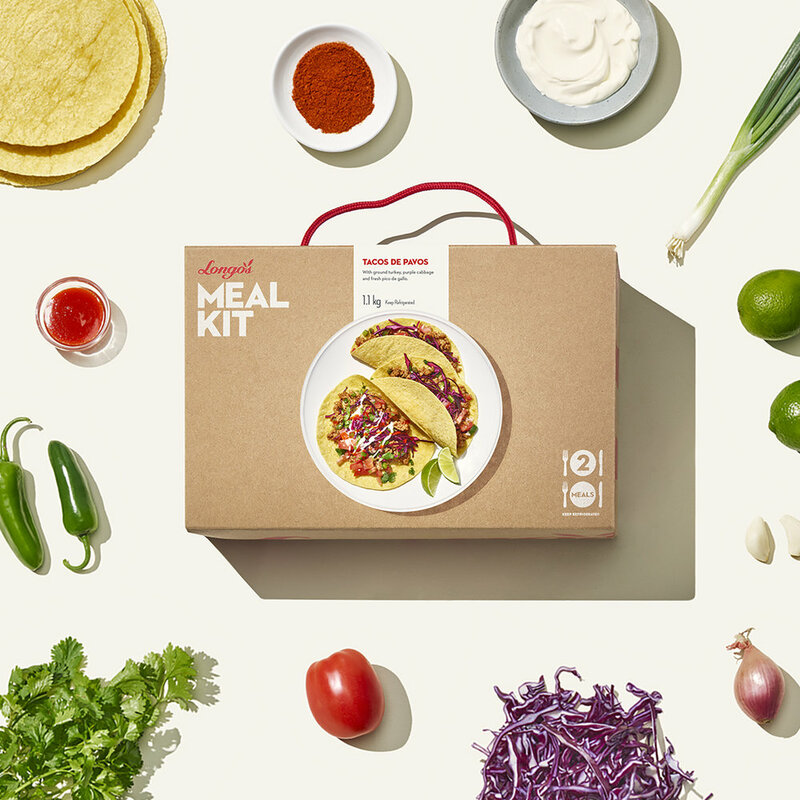 In December 2017 The Globe and Mail reported that the Canadian home-delivered meal kit industry had grown into a $120-million dollar industry. Longo’s joins other services thriving across Canada which include Fresh Prep in Vancouver, The Jolly Table in Calgary, Fresh City Farms in Toronto, Dinnerlicious in Hamilton, Cook It and Food Trip To... in Montreal. 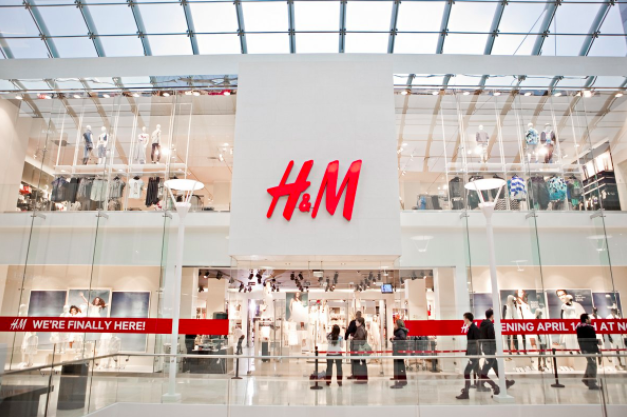 H&M to Launch Store at Premium Outlets in Montreal: Premium Outlets Montréal has announced they will be adding an H&M store at their village-style shopping centre in Mirabel, Quebec. The store will officially open this summer with a wide selection of ready-to-wear from the Swedish clothing brand which appeals to the budget-conscious. The Mirabel H&M joins the 85 existing H&M’s in Canada with 21 of those located in Quebec. The new H&M will be part of a unique line-up featuring high-end brands such as Judith & Charles, Salvatore Ferragamo, Gucci, Hugo Boss, Michael Kors, Lacoste, Max Mara, La Baie d’Hudson Entrepôt, Rudsak, Desigual, and Under Armour. This destination’s popularity amongst fashion shoppers stems from selling popular brands at up to 65 percent off every day. Opened in October 2014 Premium Outlets Montreal features a wide selection of fashion items, including men’s and women’s wear, shoes, style and interior accessories, leather goods and speciality brands. The shopping centre attracts visitors from all over Quebec as well as Canada and the northern U.S., plus international tourists. Premium Outlets Montreal is a single-level and is accessed via Exit 28 from Highway 15. The complex, which occupies 34,049 square metres (360,000 square feet), is located on a 51-acre property, including patios and covered walkways. 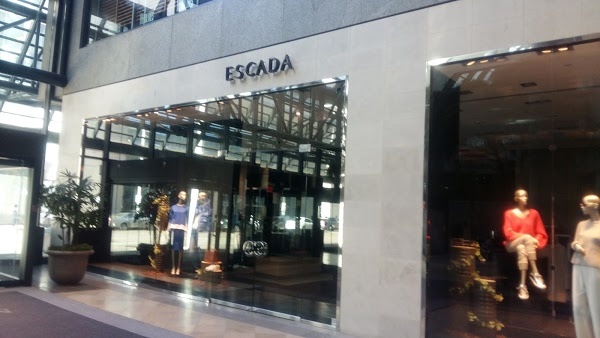 Escada Closes Downtown Edmonton Store: It’s the end of the road for luxury brand Escada’s operations in Edmonton, which marks a sad moment for the city’s downtown core. Escada was the only standalone international mono-brand luxury boutique left operating in downtown Edmonton — other downtown shops such as Louis Vuitton operate as concessions at Holt Renfrew. 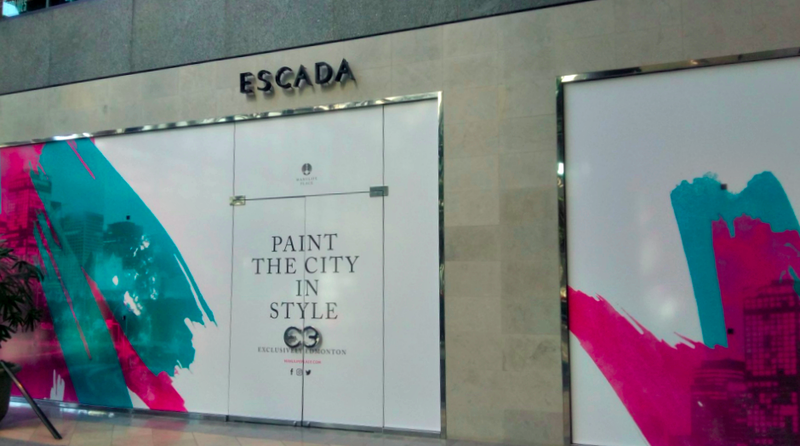 Escada was located across from Holt Renfrew on the ground-floor of the retail podium of Manulife Place, which houses other upscale retailers such as Blu’s Womenswear and men’s retailer Henry Singer. A prestigious 36 storey office tower rises above. Escada has had a presence in Edmonton for decades. In the early 1990’s, a large ‘Plaza Escada’ opened in the shopping complex called ‘Commerce Place’ which is located directly south of Manulife Place. At the time, the centre now known as Commerce Place was an upscale mall housing brands such as Alfred Sung, Henry Singer, Apriori, Ports International and others. When it opened, branding in the windows of the new marble-filled shopping centre said ‘City Centre Presents…” and Plaza Escada was a key tenant. Times have changed and Commerce Place has only a handful of retailers, as well as a food court and office space. Downtown Edmonton is seeing some progress as adjacent Edmonton City Centre renovates, and the ICE District progresses. There’s still an air that things “aren’t quite there yet” and losing escada is a blow to Edmonton’s gentrifying downtown core. Luxury brand Escada was founded in Germany in 1976 and it continues to operate three full-line stores in Canada in Toronto (131 Bloor St. W.), Montreal (1214 Sherbrooke St. W.) and in Vancouver (710 Thurlow Street). At one time, Escada operated large 'Plaza Escada' locations in Toronto (13,000 sq ft) and Vancouver (16,000 sq ft, 2nd largest globally) and both relocated to smaller spaces over the past decade. The two photos above: 'Before': 2POS and 'After': Christopher Lui. Thank you Christopher Lui for notifying us of Escada's closing and giving us permission to use your photo. 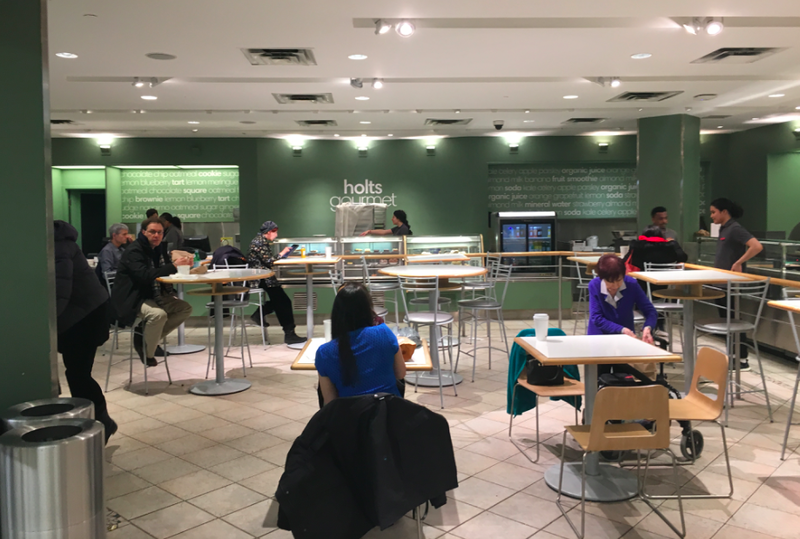 Holt Renfrew Shutters ‘Holt’s Gourmet’ Ahead of Flagship Store Renovation: Another little bit of history was lost this week when Holt Renfrew closed its ‘Holt’s Gourmet’ café space on the concourse level of its 50 Bloor Street West flagship in Toronto. By mid-April, the entire concourse level will be closed temporarily and will re-open with an area housing women’s shoes, according to staff in the store. The new shoe hall will be only temporary, however — Holt’s is in the process of renovating its Bloor Street flagship and departments will be moved around, as the store refreshes its space as well as expands its retail square footage. The ‘Holt’s Gourmet’ café has operated downstairs in the store for years, and at one time it had some of the cheapest coffee in downtown Toronto. Some students (including Retail Insider’s Craig Patterson) would study in the café in the early 2000’s, when its refillable coffee was just $1.25. The café was also known for its bread, soup and light meals, and was painted green last year. Photos above are from its final hours before it closed on March 31, taken by Craig Patterson. Holt’s will still have a restaurant at 50 Bloor Street West, though. The current Café at Holt’s on the store’s mezzanine level will see some changes as well as a rebranding, when it will eventually reopen as a franchise of Colette Grand Café. The Grand Café concept is being rolled out into five Holt Renfrew stores nationally, after having launched at Toronto’s Thompson Hotel in 2014. We’ll keep you updated on the renovations at Holt Renfrew on Bloor Street as they progress, because we’re told that the store is going to be stunning when it’s finished.